This item (P14656) is not currently available for purchase. The verdant green glow of fairy lights makes this Fairy Christmas Light Ball a must-have for your holiday light collection. Hang it from branches, patios and porches, inside or out, or set it on the ground for a beautiful display. The fold-flat frame assembles in seconds, then stores away with ease. Plus these light balls can be connected end-to-end: up to four together. The hollow center is ideal for filling with flowers, greenery, ribbon, or whatever your imagination comes up with. 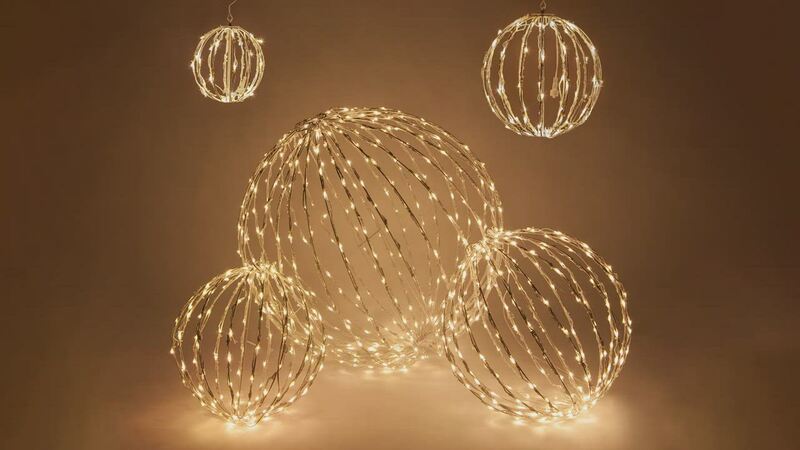 Use it with red and white light balls at Christmastime to create a light display that will turn heads. Or use it amidst foliage at springtime to welcome the arrival of warm weather!